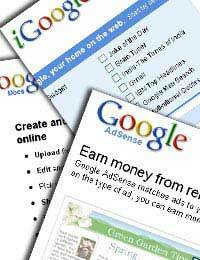 Google Adwords is the paid-for option that can enhance your presence on the internet. It is constantly used by businesses who want to appear top of the search engine listings, rather than rely on the organic or free listings. The ads themselves are free, which means you can create any number of them. All you pay is the rate per click from those who visit your site. Online advertising can effectively be categorised into two aims: direct response ads which are designed to make people buy; and brand awareness ads, which promote your name as much as possible. Choose from the start what you want to achieve. Who do you want to reach? Do you want to stay in the local areas? If so, check out local directories and blogs. Don’t price yourself out in the bidding process, ie how much a keyword or key phrase costs you for people to click onto. Do some homework and find out what keywords work. Search Engine Marketing (SEM) enables you to promote yourself and your business to a multitude of media via listings. Google will place your ad next to the content that your ad matches. This is called contextual targeting and goes on the keywords that you have supplied. Placement targeting lets you choose where to put your ads in the Google display network and for this, keywords aren't required.The Display Network embraces numerous opportunities including directories, online magazines and newspapers and blogs. Do some research first and find out where you want to be listed. If you want to target a specific area or location, then include it in the keywords. Do you have the capacity to accommodate a global market? If so, then include different languages. Liven up your initial text ad with images, videos and rich media content such as flash animation. This will catch the eye and get more clicks from visitors. Don’t be too gimmicky however, always remember your core message. Many website designers forget to use one of the most useful filter features, negative keywords. Take time in filtering out any potential unwanted visitors: for example, include “free trial” in your negative keyword list if you DON’T offer this. There are many tools (some free, some paid for) that can help you track and target categories and relevant network sites. Make use of them. Use Wonder Wheel or Adplanner to identify potential ad group themes. Ad extensions allow you to add additional information including an address or phone number. Location extensions are particularly useful if you want to regionalise your business as the information will appear in enhanced format on Google Maps. It costs no more than your standard Cost Per Click (CPC). By evaluating your ad campaign regularly, you can improve your Click Through Rate (CTR) and thereby, your Return on Investment (ROI). As part of your ad campaign, have a number of ads running at the same time and let Google rotate them. Monitor them carefully to see which works best for the audience you have selected. Don’t be afraid to modify them until they bring results and hopefully, new customers and more sales.